Michael's writing has twice been featured in Best American Mystery Stories, named as stories of note in the Best American Short Stories series, and appeared in national circulation magazines and journals. Moving through 19th-century New England to Paris and back again, this novel imagines the sacrifices and struggles of the man widely credited with discovering anesthesia. 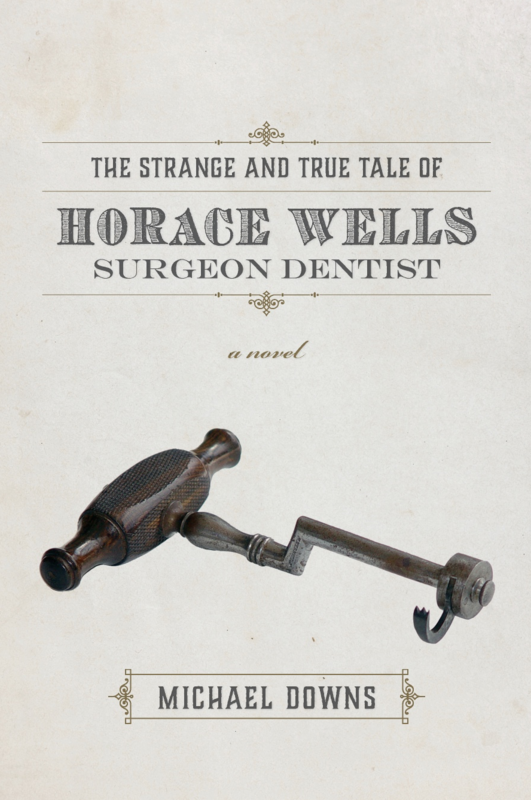 The Strange and True Tale of Horace Wells, Surgeon Dentist is a love story but also a story of what love can't redeem: of narcotic dreams and waking insanity; of pain's destruction and what pains can never be eased. A novel that resonates with our contemporary struggles involving pain and the substances that numb it. "... a fast-paced narrative full of humor, vivid description, and lively characters." "In addition to his uncanny ability to evoke a physical setting using appeals to all our senses, Downs also has a way of showing the understandable and relatable souls of characters." Louisiana State University Press, 2012. Inspired by the true-life Hartford Circus Fire of 1944, these stories explore the way disaster changes a community. Stories from the collection originally appeared in The Georgia Review, The Missouri Review, The Kenyon Review, Gettysburg Review, Five Points, New Letters and other journals. Foreword magazine: ''an auspicious fiction debut from a marvelously talented writer"
Shenandoah Review: "beautifully written. Not a word out of place." West Branch Wired: "These are quiet stories, in the tradition of Winesburg, Ohio, ... [with] the dramatic weight and complexity of a novel." Colorado Review: "gorgeously captures the sweep of ordinary lives made remarkable by a tragic twist of fate." The story of five remarkable and talented young men from Hartford, Connecticut who pledge their lives to their hometown and who find that promise not always easy to keep. "... a beautiful book, filled with the poignant bittersweet of hope and loss." Publishers Weekly: Combining a reporter's eye for detail, the breathless narrative rush of an action movie and the generous heart of a hometown boy desperately trying to make sense of a place gone terribly wrong, Downs examines the social and economic disintegration of Hartford, Conn., in the 1990s through the coming-of-age of five African-American teenage boys. The Hartford Courant: "... a lavish love letter to Connecticut’s capital city." Hollywood's Team tells the story of the Rams of the 1950s and of the author's father, an all-star offensive lineman. Even as the book revels in the glitz and glamour of 1950s Los Angeles and the Rams' larger-than-life personalities, it celebrates the everyday workhorses like John Hock, the people who are the foundation uplifting every amazing thing.